Her pelt is a soft lavender color, with two different colored eyes. Her left one is a light blue, so light of a blue that it appears to be white. While her right eye is a beautiful yellow, almost like the petals of a sunflower infused into the eye of a lioness. Her hind legs are white, leading upwards just a bit. But way below her thighs, the same goes for her front legs. Her stomach is also white, like Poltergeist had rolled over and somebody spilt milk on her lavender fur. She has a black stripe that runs from her forehead, all the way to the tip of her tail. Of course, excluding her tail tuft. Which is a dark purple, almost appearing to be black. Under her eyes are three white dots, all in perfect symmetry with each other. Scared, alone and upset. She has lost all 3 of her litter, some lost and some dead. She hangs around Baraenor like a ghoul, quiet and softer than ever. Her personality has shifted, for the better or worse?.. It's sort of hard to tell. Lost her son Sidon when he was 6 months old. Email: Send Poltergeist an email. Private Message: Send Poltergeist a private message. 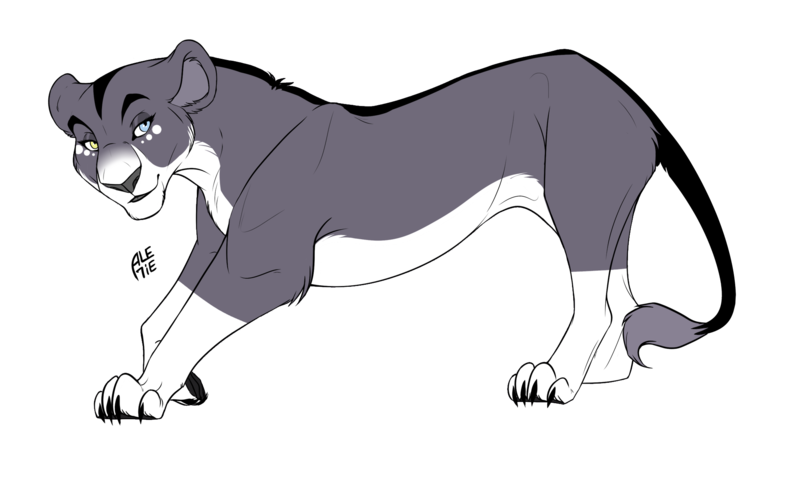 [ CHARACTER ] Appearance: Her pelt is a soft lavender color, with two different colored eyes. Her left one is a light blue, so light of a blue that it appears to be white. While her right eye is a beautiful yellow, almost like the petals of a sunflower infused into the eye of a lioness. Her hind legs are white, leading upwards just a bit. But way below her thighs, the same goes for her front legs. Her stomach is also white, like Poltergeist had rolled over and somebody spilt milk on her lavender fur. She has a black stripe that runs from her forehead, all the way to the tip of her tail. Of course, excluding her tail tuft. Which is a dark purple, almost appearing to be black. Under her eyes are three white dots, all in perfect symmetry with each other. [ CHARACTER ] Personality: Scared, alone and upset. She has lost all 3 of her litter, some lost and some dead. She hangs around Baraenor like a ghoul, quiet and softer than ever. Her personality has shifted, for the better or worse?.. It's sort of hard to tell. [ CHARACTER ] History: Lost her son Sidon when he was 6 months old.